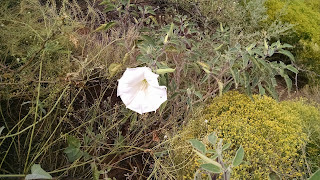 Datura is a genus of nine species of poisonous vespertine flowering plants belonging to the family Solanaceae. They are known as angel's trumpets, sometimes sharing that name with the closely related genus Brugmansia, and commonly known as daturas. 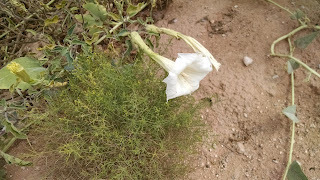 They are also sometimes called moonflowers, one of several plant species to be so. Colors vary from white to yellow, pink, and pale purple. The fruit is a spiny capsule 4–10 cm long and 2–6 cm broad, splitting open when ripe to release the numerous seeds. The seeds disperse freely over pastures, fields and even wasteland locations. In Pharmacology and Abuse of Cocaine, Amphetamines, Ecstasy and Related Designer Drugs, Freye asserts: Few substances have received as many severely negative recreational experience reports as has Datura. The overwhelming majority of those who describe their use of Datura find their experiences extremely unpleasant both mentally and often physically dangerous. 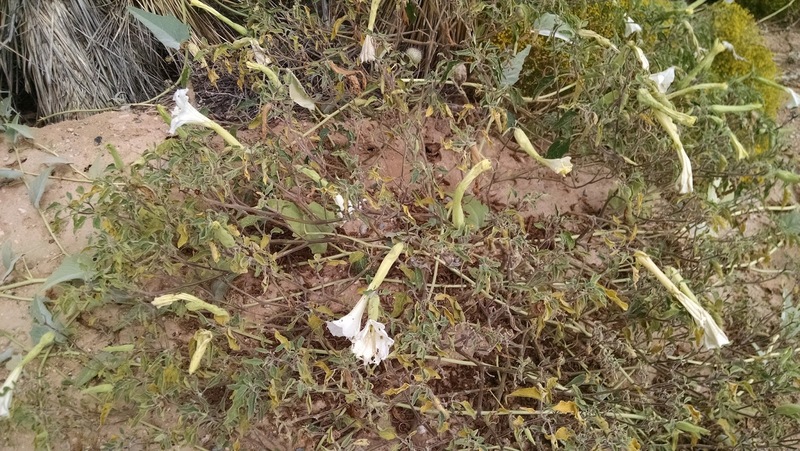 Due to their agitated behavior and confused mental state, victims of Datura poisoning are typically hospitalized. Stomach pumping and the administration of activated charcoal can be used to reduce the stomach's absorption of the ingested material. The drug physostigmine is used to reverse the effect of the poisons. Benzodiazepines can be given to curb the patient's agitation, and supportive care with oxygen, hydration, and symptomatic treatment is often provided.